Do you really know who I am? Do you know that the brain and I are two separate entities? Do you know that 24/7 your life is governed by me, me and me alone? Do you know that once you master me, you will be able to exactly know what is going on in another's mind, and why they are doing what they are? If you had known this, then why would you and everyone else have had to toil round the clock to achieve joy and success? Although human intelligence has evolved with every passing epoch, still the struggle to survive and achieve success continues to be the same. According to the author of 'I am the Mind', Mr. Deep Trivedi, a pioneer in spiritual psychodynamics and a renowned author and speaker, every human being is destined to achieve 'Joy and Success', but they inevitably fail to achieve the same. Their ignorance or lack of awareness of the functioning of the mind or the psychology behind it, leads them to falter and commit mistakes or blunders at times, which proves detrimental to their lives. So what is the remedy? Only one; 'Understand your Mind', says author of the book, 'I am the Mind', Mr. Deep Trivedi. 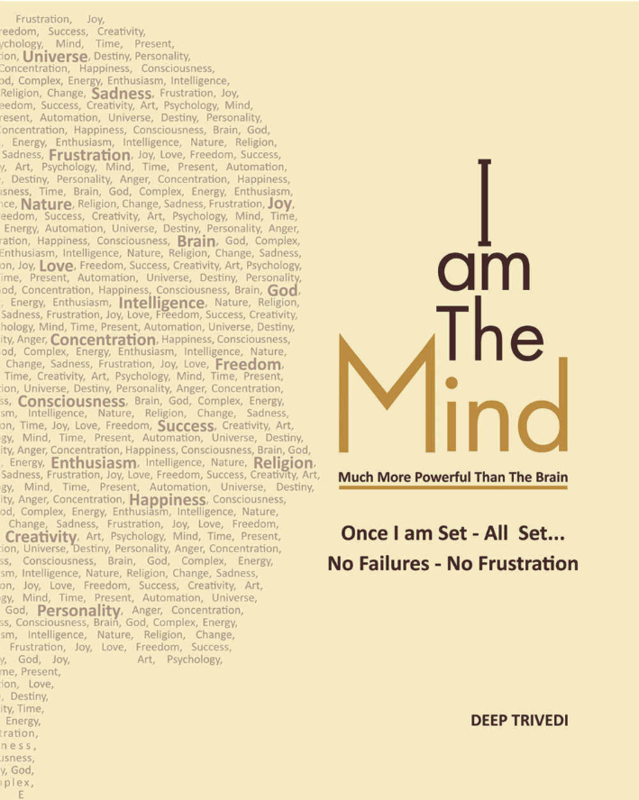 Through this book, Deep Trivedi delves deeper into the unexplored territory of the psychology of the mind, and provides you with not just the answers pertaining to all the facets of life - family, business, career, etc. but also the wisdom to lead your day-to-day life. Mr. Deep states that once you become the master of your mind, you will gain acute insight into others' minds and thus will be able to know the frame of mind they are in and know exactly what thoughts propels them to do what they are doing, or the reason why they are doing, whatever they are doing. Such simple yet profound understanding will give you an edge over others in this competitive world, as this is the vital key to success. To make the book a much more interesting read, Mr. Deep Trivedi has interspersed the psychological content with 23 contextual short stories and anecdotes, which makes reading an enjoyable experience for all age groups. The easy-to-read content notwithstanding, this book is structured in a manner that will engage the reader on a journey within themselves to emerge as a successful person. Eric Berne, A che gioco giochiamo?